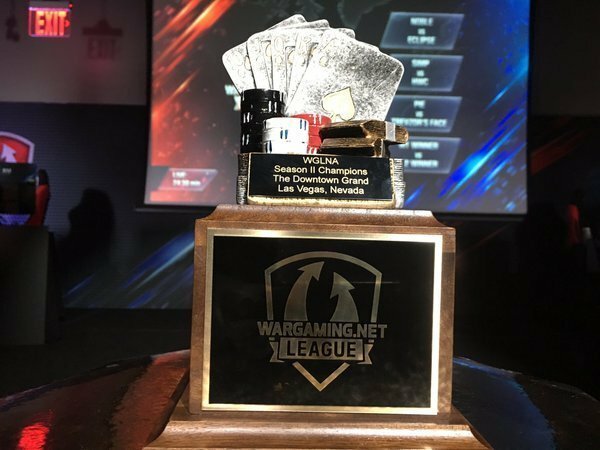 In an epic WGLNA Finals as thrilling as it was unpredictable, eClipse upset the defending champs from Noble before taking down the veterans from SIMP to become the first WGLNA team to ever win the Silver League and the Gold League championships in back-to-back seasons. The electrifying eSports event took place in Las Vegas at the Downtown Grand hotel, as a packed room of tankers and fans cheered on the underdog's every move. But the night didn't start out so promising for the eClipse, especially after Noble's AkulaV destroyed TigersLovePepper in Game 1, giving Noble the early advantage, and making fans in the crowd wonder if the young team from eClipse was in over their heads against the battle-tested crew sitting opposite them on stage. But for a team comprised of mostly teenagers, eCLipse showed the poise of true pros, bouncing back to the roar of the crowd thanks to some of the best focus fire ever seen in a North American finals, defeating Noble by a match score of 5-2. "I really think Noble overlooked us," said eClipse's captain, TigersLovePepper. "I don't think they were ready for us at all. I know a lot of guys on Noble, and they were probably worried more about who they would play in the finals than us, but we gave them a good match. All the teams have been practicing hard, but our calling was really on point and our players were great in terms of hitting their shots. We baited them into some good crossfires, and it was just on point for us, tactically and player-wise every single game. We did a good job managing finishes and not wasting high HP tank shots, like an E 100 on a 200 HP tank." On the flip side of the bracket, what started as a highly-anticipated match-up between SIMP and High Woltage Caballers turned into a straight SIMP-stomp, as Nitts and crew took down the pre-season favorites by an overwhelming score of 5-1 thanks to some amazing play by the likes of Crimson_Corsair, PhotoFinish, and, of course, E63M6. "When you're watching E6, I realize I can never achieve that level of play," said SIMP's Lapse after the win. "He has an understanding, a skill, a competence, and a calm about him that you don't see in other players. It's extremely impressive, and it's one of the reasons we're headed to the championship round." 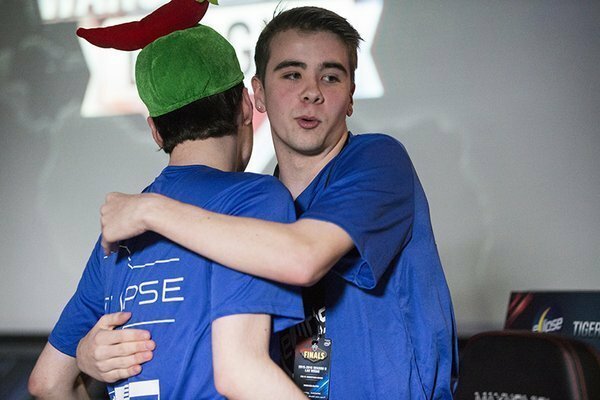 But before the fans could see the youth and yolo of eCLipse taking on the wisdom and experience of SIMP, there was a 3rd/4th-place match that had to be played -- a match that featured some serious stakes, too, as Noble needed to defeat HWC in order to secure their spot at the Grand Finals in Poland. If they lost, they were eliminated, and due to the cumulative points of Season I and II, both eClipse and SIMP would pass them in the rankings and move on to Poland in their place. With all that on the line, not to mention HWC's collapse in their earlier match against SIMP, any Vegas gambler would've put their money on the defending champs. But that's why they play the games. HWC looked like a completely different team, defeating Noble 5-3 to knock them out of Poland. Noble, a team who lost only one match the entire season, just lost two matches in one night. Unbelievable. As Noble and HWC walked off the stage, you could feel the buzz in the room grow as the crowd anticipated the intriguing main event that was about to take place. And the two teams didn't disappoint, with the contrast in styles and lineups playing out into one of the most memorable finals in WGLNA history. At one point, SIMP jumped out to a commanding 4-2 lead, and the dominant way they were playing (splashing down artillery on four eClipse tanks at once!) made it look like the match was already over, and Wargaming might as well just write "SIMP" on that big $75,000 check for first place. The young team from eClipse just never gave up, first pushing the score to 4-3, then 4-4 to send the finals into the tiebreaker with everything on the line. The tiebreaker map was Ghost Town, and eClipse decided to push west, reacting quickly to what they anticipated from SIMP. Before you knew it, eCLipse picked up three kills by Mort, and two each by drawkcaB and Tigers, and a new champ was crowned. "It feels amazing," said Masterpupil after hosting the trophy to the roar of the crowd. "Coming from what most people thought was the bottom to the very top, nobody expected it. We were the underdogs the entire season, and to finish as the champs, it's just incredible. But I wouldn't want our journey to be any other way. This is by far my favorite team of anything I've ever done. No sport has ever felt like this. No physical sport has ever been this exciting for me. To win with this team, to win with eCLipse, this is the best feeling on Earth." 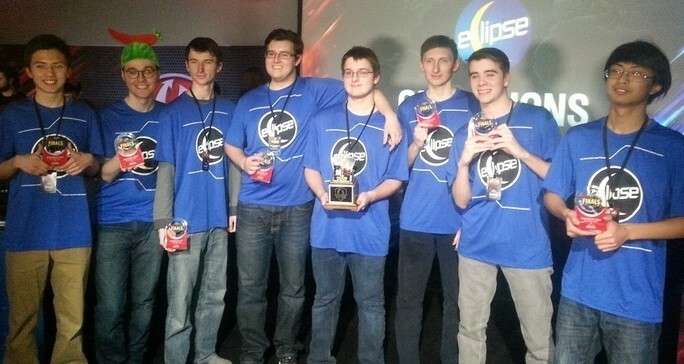 For winning first place, eClipse takes home $75,000, while SIMP's second place finish was good for $40,000. HWC won $17,000 for third, while Noble's drop to fourth place still earned them $10,000. "We were constantly going on tilt," Masterpupil explained about going down early to SIMP. "Some of these losses were really close. [On a] game on Cliff, we had two ammo racks in the span of five seconds, and it really threw us off, and we were starting to get mad at each other. We weren't having a fun time at all. But then we started coming back, we started rolling, and we got on our map, which is Prokhorovka. Everything suddenly turned around. We were making jokes, we were laughing with each other, and that's what you need in an offline scenario. You need to have fun. The more you get angry, the less you're going to do." 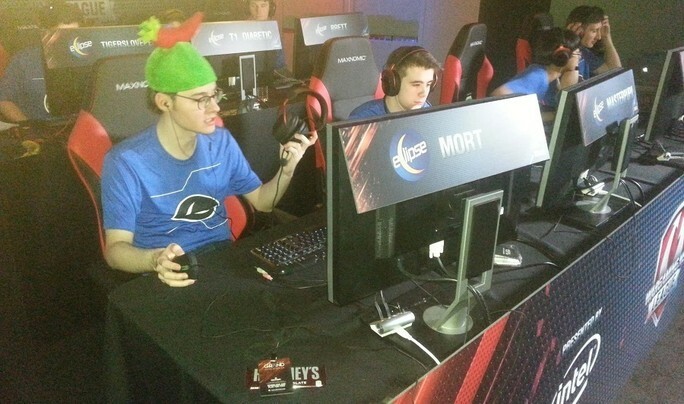 eClipse's Mort wore a chili pepper hat throughout the Finals, attributing the good luck of the pepper to his team's win. "The power of the pepper can only be unlocked by touching the magical chili," he laughed. "We knew it wasn't going to be easy. We practice against SIMP all the time, and it's always tooth and nail, even in practice. So if I can bring the power of the pepper to the match, that's just what I have to do." 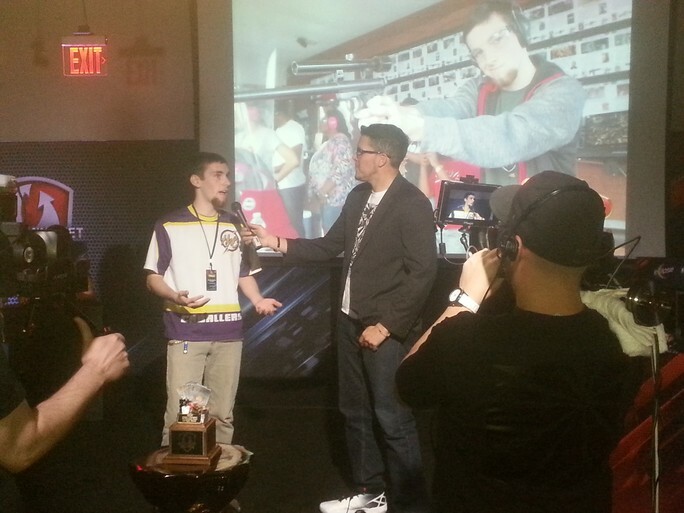 During the Finals, it was announced that HWC's Blueboyzcaptain was the recipient of the WGLNA Season II MVP award. Blue is the first two-time MVP winner, and said he felt honored to narrowly defeat his teammate, Wallhacks, for the recognition. "The first time I won, it didn't feel like there was much meaning behind it, but winning it the second time, it just feels like they really mean it now. They don't take the decision to give an award like this to a person a second time lightly, so it's just really meaningful for me to win it again." Calling the action over the livestream were casters Christian Toma and David Williams. Toma was the only expert to correctly predict eCLipse's victory before the finals began. "Not only did I love the way they played in the playoffs, but I love the underdog story," he said. "After they beat Noble, I was like, 'They're taking this whole thing!'" Added Williams: "This is how Tanks always should be. Two teams laying it all on the line and going out toe-to-toe to see who is best on that day. We were talking about it in advance, how anybody can win. I knew eClipse had the capability and the strats to pull this off, but I'm so used to seeing teams crumble under the pressure, I wasn't sure what to expect. All we want to see is teams who don't succumb to that pressure, and we had two teams in SIMP and eClipse who held up and delivered a fantastic finals. This was the competition I always wanted to see." As a result of eCLipse and SIMP both making the championship round, and Noble losing both matches, it's eClipse and SIMP moving on to Poland to play in the Grand Finals. eClipse's TigersLovePepper looks forward to the trip, hoping the two NA teams can work together in order to play their best on the big stage. "Poland is impossible to predict, but honestly, all I'm hoping for is a stronger North American finish. SIMP and eCLipse are obviously really strong teams, and I'm looking forward to working with SIMP to make sure that we're both on point for Poland. For me, it's about representing North America more than anything else. If SIMP does well in Poland and we don't, I consider that a success, and vice-versa. I want North America to be represented globally, and I want it to be looked at as one of the premier servers of this game. That's what we're hoping to accomplish this year."